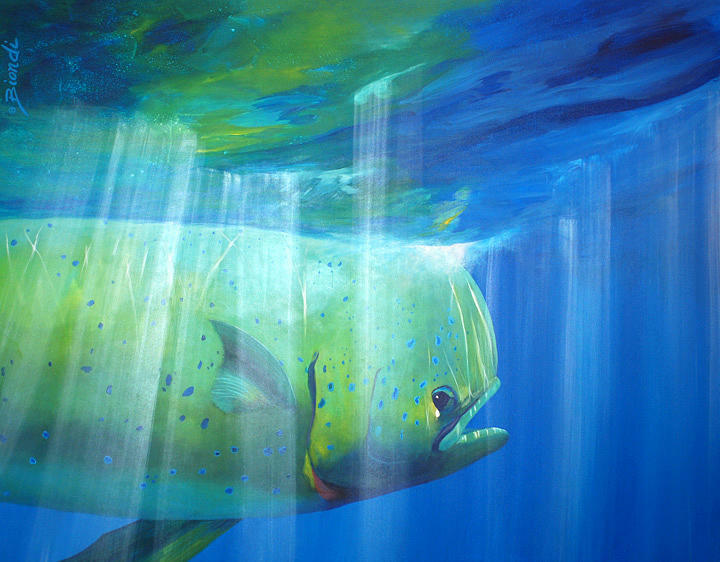 Mahi Mahi is a painting by Janet Biondi which was uploaded on November 5th, 2015. This was done from a photo by my friend Brian O'Keefe. It hangs at a Tuna and Marlin Club in N.J. but is for sale.